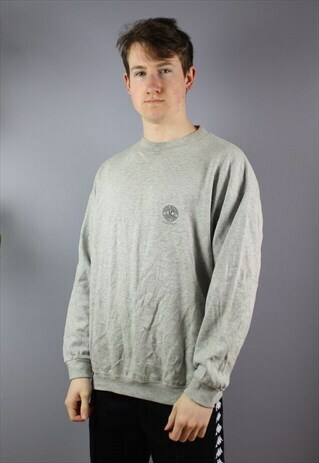 Vintage Lee Cooper Sweatshirt in Grey and Size Large. Features printed logo. Lovely item but could do with a wash and iron to freshen it up! PTP 59cm L 71cm Sleeve from Pit 43cm Model is 5 foot 7 and wears size Medium for a comfy fit. Free postage and same day dispatch Instant buy is on! Discount on bundles! INTERNATIONAL POSTAGE SUPER QUICK DELIVERY Fast fashion is killing the planet and is unsustainable! Buy vintage to reduce waste and save the world.